Your skin begins to darken with age and also due to other factors like too much exposure to the harsh sun, environmental pollution, the use of chemical-based skin products, poor diet, and certain medical conditions. 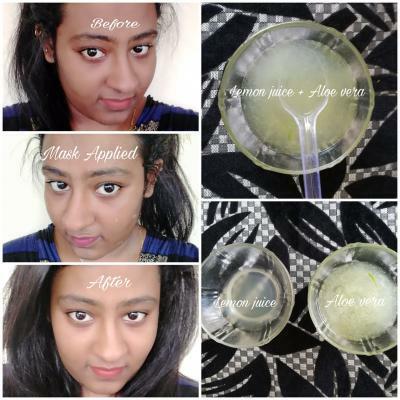 The market is flooded with skin-lightening creams and lotions that promise lighter skin. 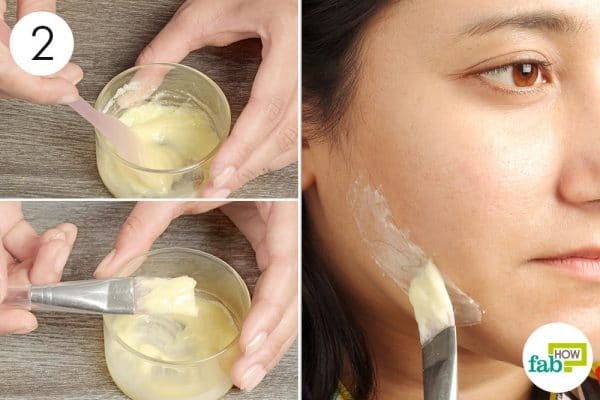 However, what is conveniently left out is that these products often contain harsh skin whitening agents that cause irreparable damage to the upper layers of your skin. Continue reading below to find out how to lighten skin using grandma's top 15 secret remedies with simple kitchen ingredients. Lemon works as a natural bleaching agent for the skin and helps get rid of acne scars and black spots. 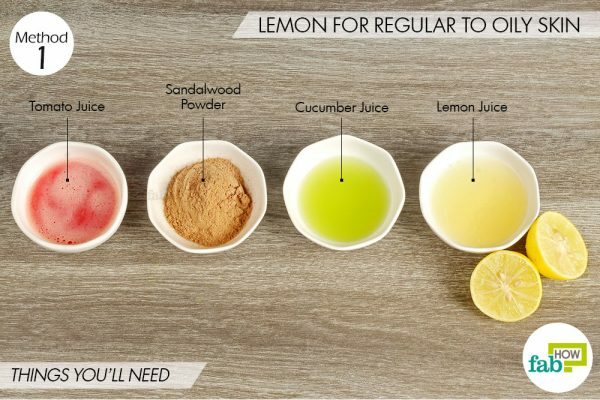 In fact, lemon can also be used to remove sun tan and for improved skin complexion as it contains vitamin C, which promotes the growth of new skin cells. 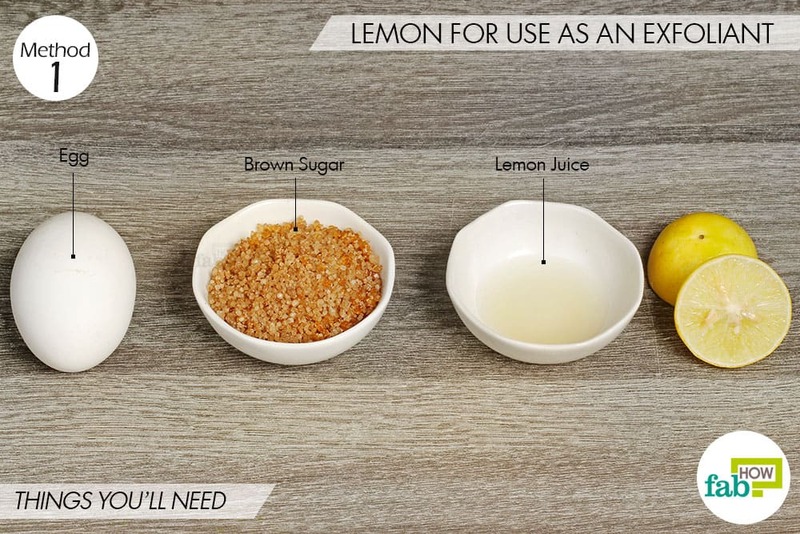 You can can read more on how to use lemon for beautiful hair and spotless skin. Cucumber contains ascorbic acid and vitamin C and has a soothing effect on the skin, while tomato juice is particularly effective against sunburn. 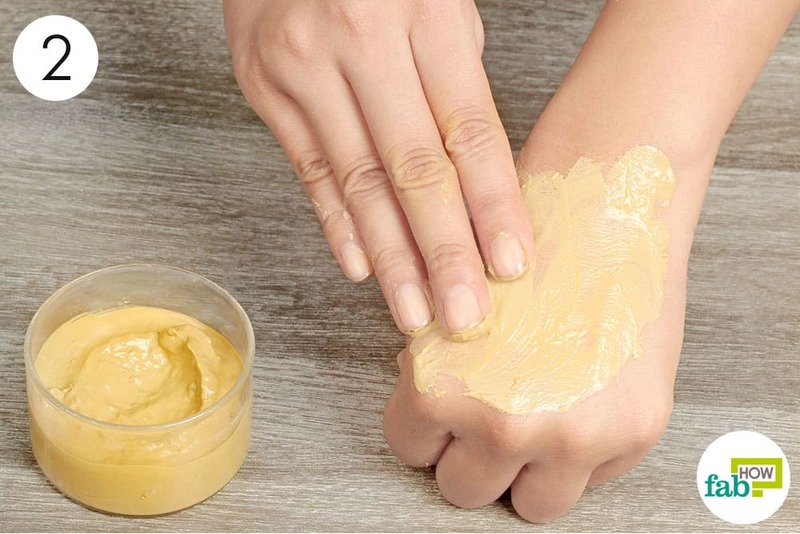 Sandalwood soothes the skin, is helpful in removing blemishes and can also be used to lighten skin. Pour out 1 tablespoon of lemon juice in a bowl. 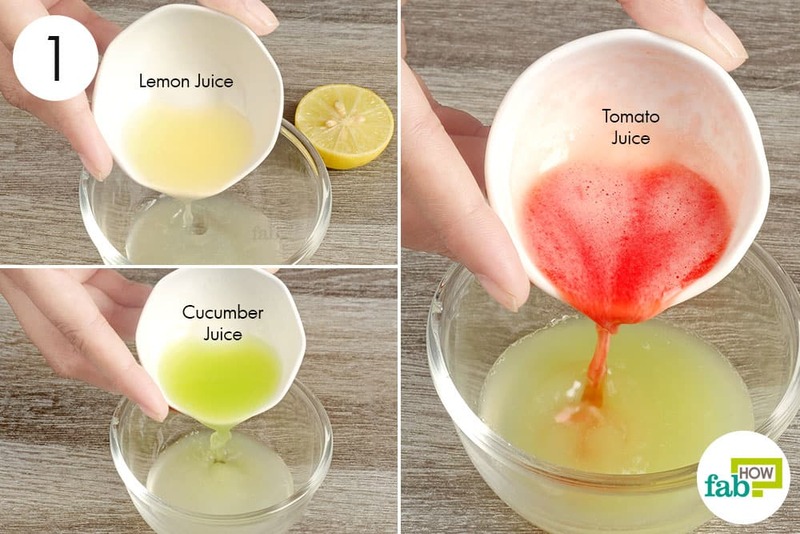 Add 1 tablespoon of cucumber juice. 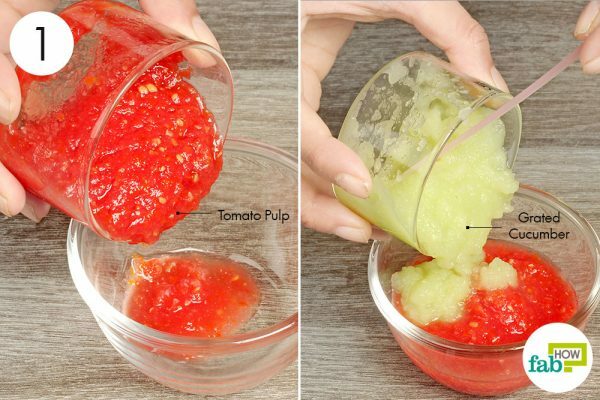 Add 1 tablespoon of tomato juice as well. Finally, add 1 tablespoon of fine sandalwood powder. Dip a brush in this mixture and apply on your skin. Let it sit for 15 to 20 minutes. Wash it off with warm water and then moisturize your skin. Apply this face pack thrice a week and you will have visibly lighter skin after 3 to 4 applications. Pour 1 tablespoon of milk powder in a small bowl. Add 2 teaspoons of freshly squeezed lemon juice. Add 2 drops of lavender essential oil. Mix all the ingredients to form a smooth paste. Dip a brush into the paste and apply on skin. Leave it on for 20 to 25 minutes. Wash off with warm water and moisturize. Apply this skin pack twice a week for positive results. Your skin will become 1 shade lighter after 4 weeks of regular application. Crack an egg with a knife, but do not break the shell completely. 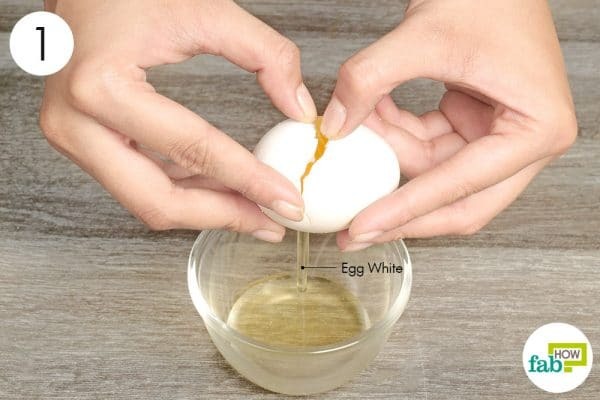 Collect the egg whites in a bowl below; ensure that the yolk stays inside the shell as shown. 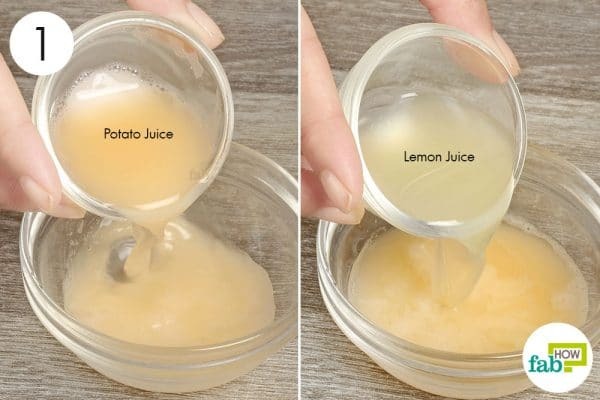 Add 1 teaspoon of freshly-squeezed lemon juice. Add 2 tablespoons of brown sugar. 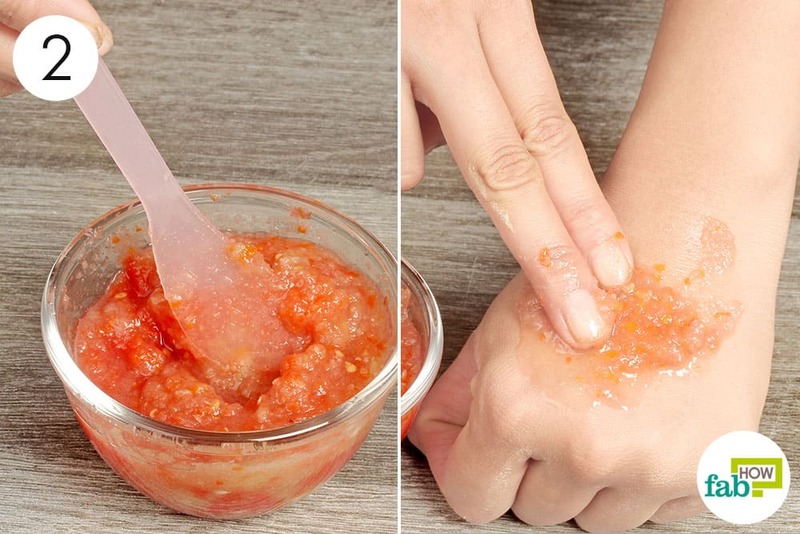 Gently rub it on your skin for 10 to 15 minutes to remove dead skin cells. 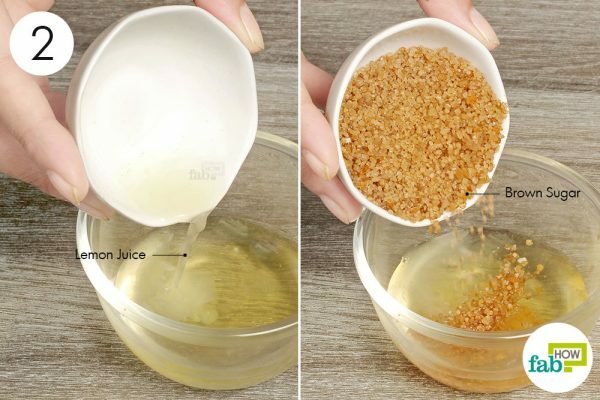 Use this DIY scrub at least once a week to exfoliate your skin and reveal beautiful, glowing skin. Note: Do not go out in the sun after applying lemon or using any other skin-lightening products; if you must, always apply sunscreen. 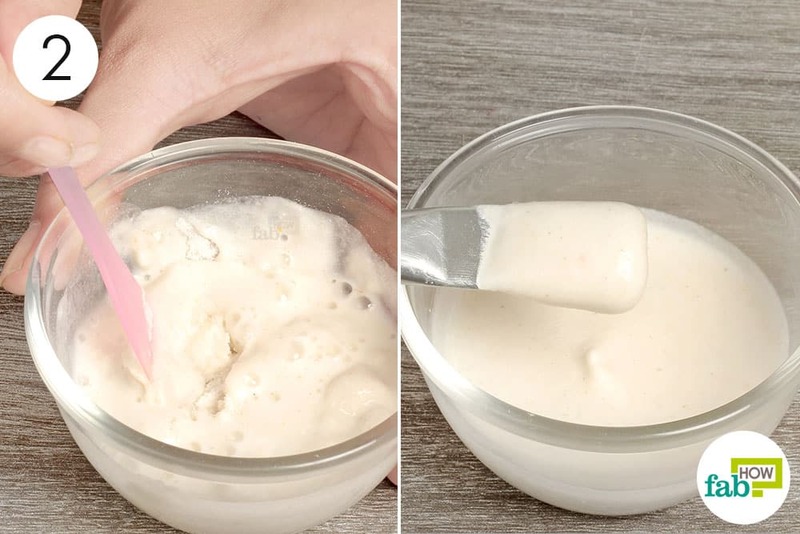 Plain yogurt contains lactic acid that has natural bleaching properties and can be used most effectively to lighten and brighten your skin tone. 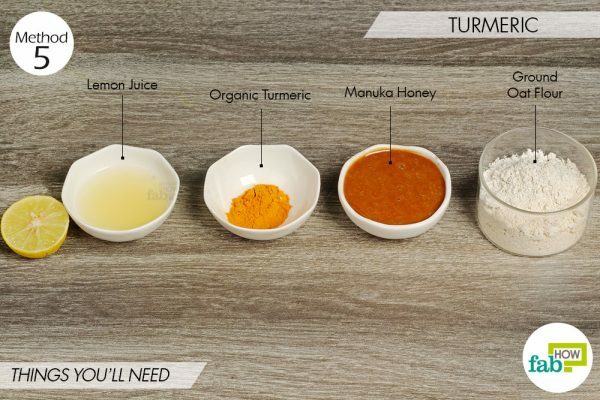 Honey repairs and moisturizes your skin, while turmeric contains antioxidants that improve skin health. Put 1 teaspoon of plain yogurt in a bowl. 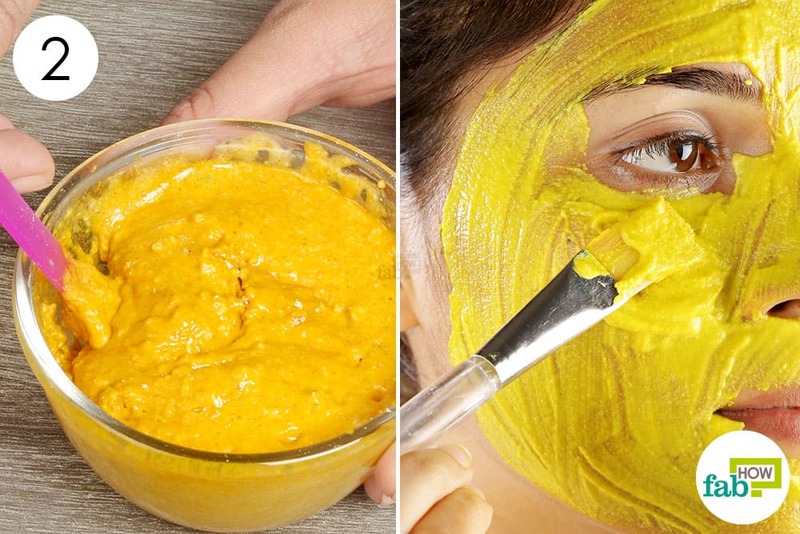 Add 1 teaspoon of organic turmeric powder. Apply on skin and leave it on for 10 to 15 minutes. 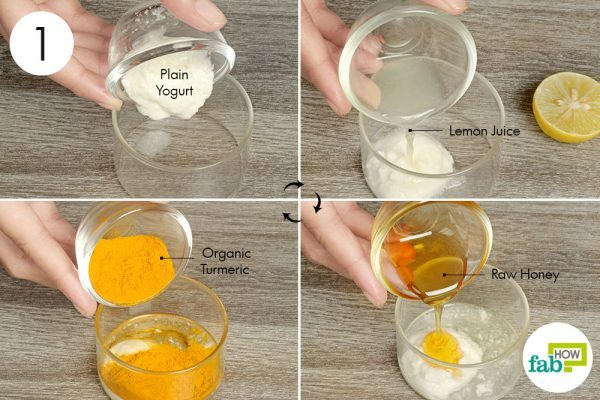 You can use this skin-moisturizing mask every alternate day for supple and glowing skin. Aloe vera gel contains healthy doses of vitamin E and boosts the production of collagen and elastin in your skin, thereby improving skin health and stretchability. Aloe vera also helps reduce hyperpigmentation, and when combined with lemon juice, it helps lighten tanned skin for a lighter complexion. 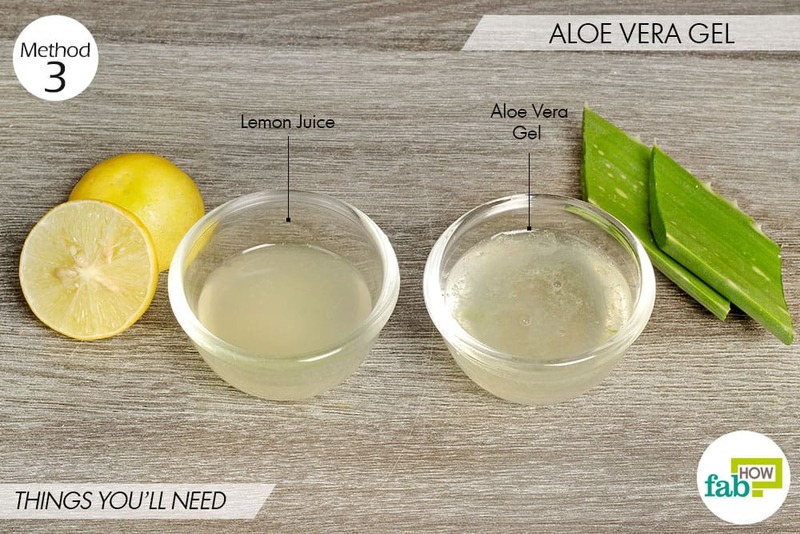 Aloe vera gel has cooling properties that make it particularly effective for getting rid of sunburn. 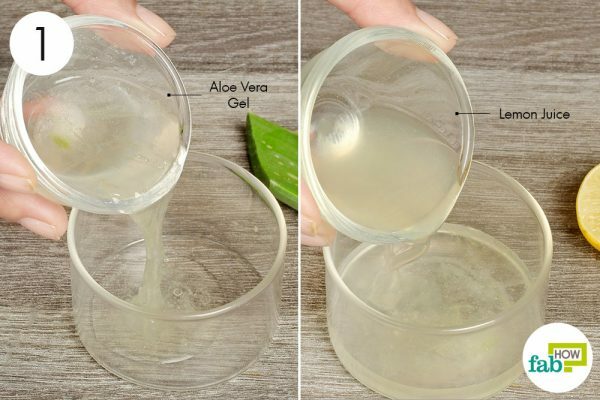 Pour 2 tablespoons of aloe vera gel into a small mixing bowl. 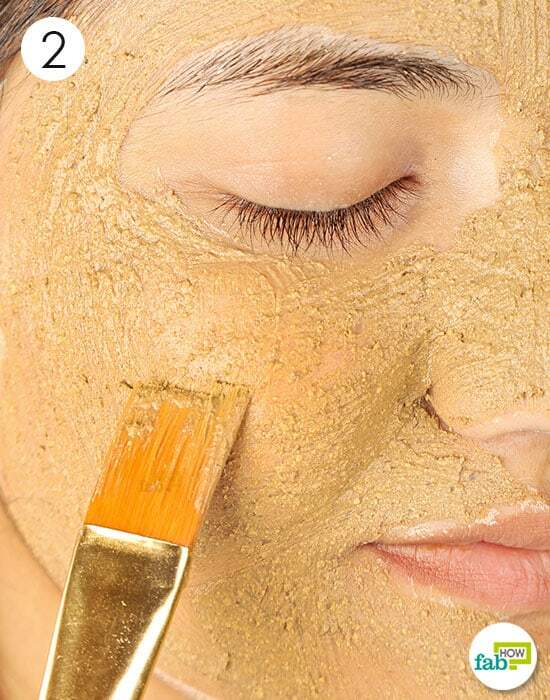 Mix properly and apply on skin. Keep it on for 10 to 20 minutes and then rinse with warm water. Repeat application every alternate day for lighter and brighter skin within a week itself. 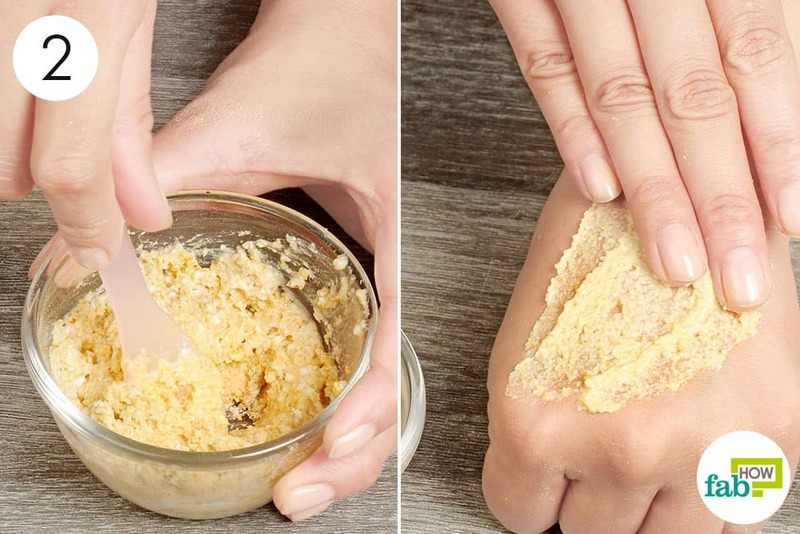 Gram flour absorbs all the extra oil and serum from your skin leaving it well-balanced and light; it is especially recommended for removing suntan. It also removes dirt, toxins, and dead skin cells, leaving your skin radiant. 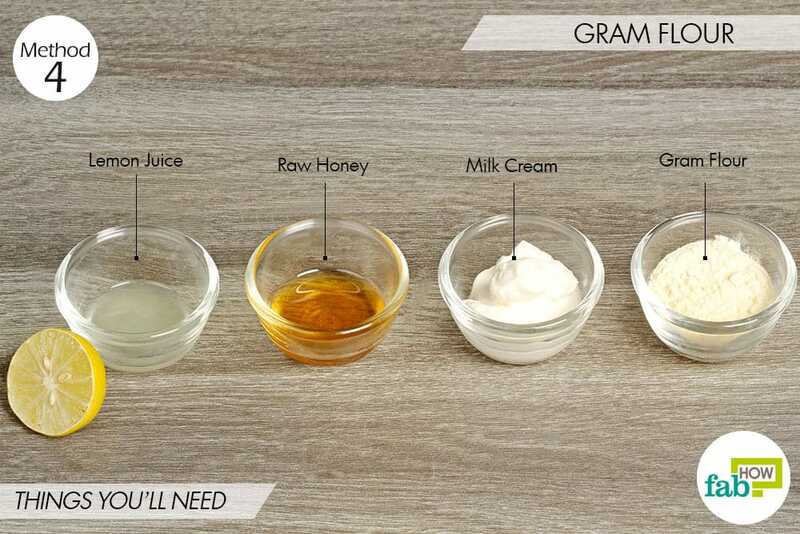 When mixed with lemon juice, honey, and milk cream, which have skin lightening, toning, and moisturizing properties, gram flour forms a wondrous skin pack for dry skin, which leaves your skin several shades lighter and brighter. Pour 1 tablespoon of gram flour in a bowl. 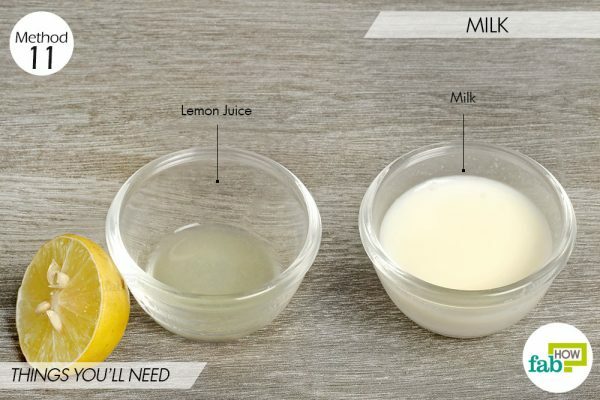 Add 1 tablespoon of milk cream. 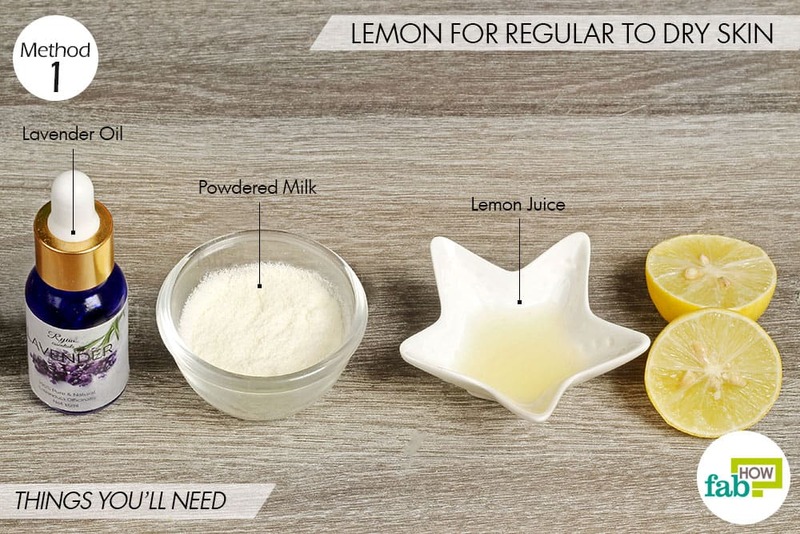 Add ½ teaspoon of lemon juice. Mix all the ingredients thoroughly to form a smooth paste. 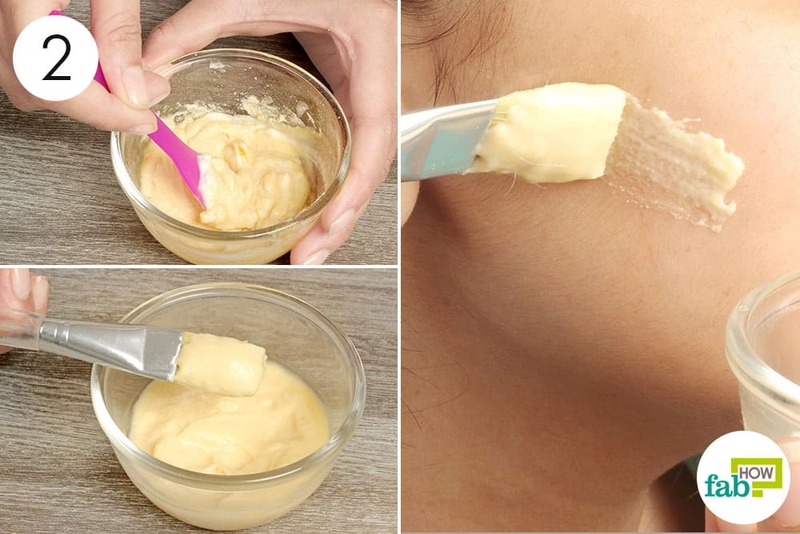 Dip a brush in this paste and apply on your face. Leave it on till it dries completely or for around 20 minutes. Wash off with cool water and gently pat dry your skin with a towel. 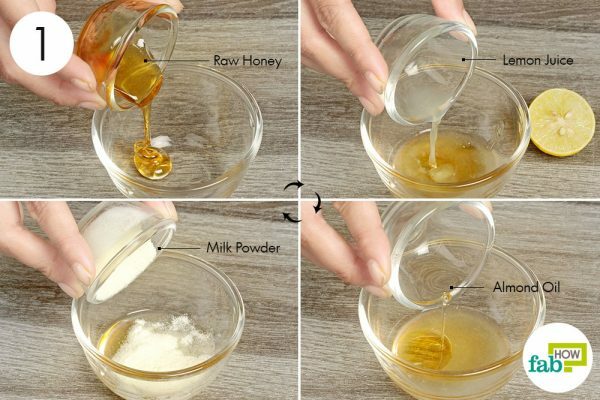 Do this 2 to 3 times a week for fairer face and skin. 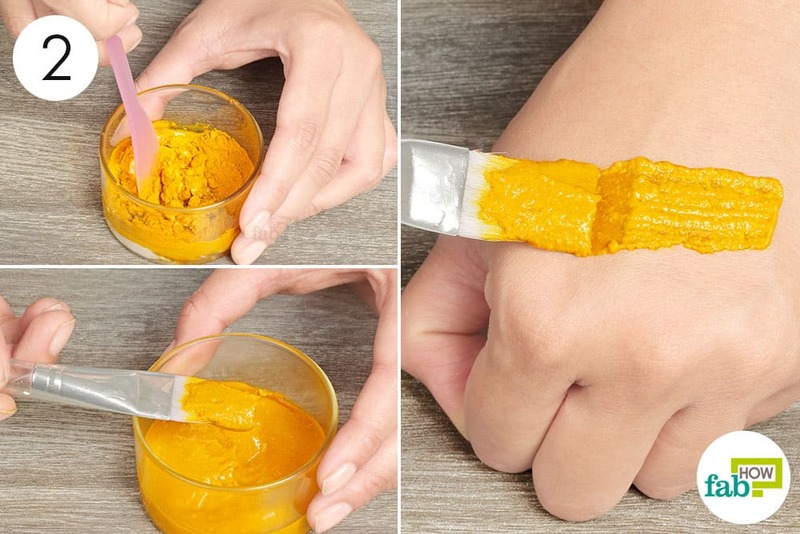 This yellow spice contains curcumin, which most effectively lowers melanin production in your skin, thereby reducing hyperpigmentation and sun damage. Pour 3 tablespoons of ground oat flour in a small bowl. Add ½ teaspoon of organic turmeric. Add 2 tablespoons of Manuka honey. Use a plastic spatula and mix all the ingredients together. Keep on mixing till you get a smooth paste with even consistency. Apply on skin and keep it on for 20 minutes. Use this skin mask every 3 days to lighten sunburnt and damaged skin. 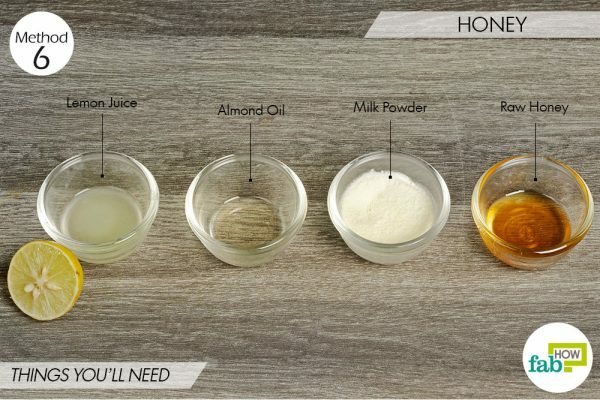 Honey has natural bleaching and skin-moisturizing properties that make it a two-in-one bargain for use on skin. It also has antibacterial and anti-inflammatory properties that help fade old acne scars and dark spots. Honey is a highly beneficial, natural ingredient that can be used in a variety of ways for glowing skin and gorgeous hair. 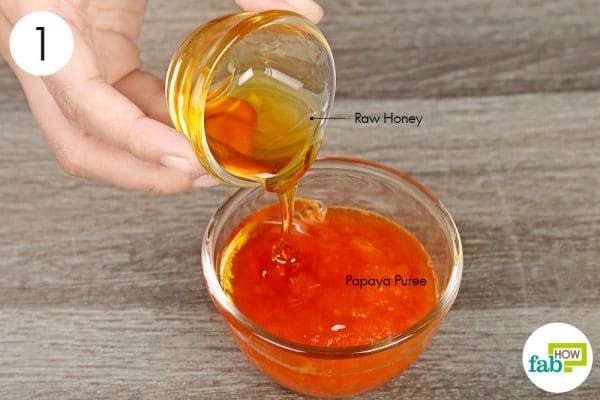 Pour 1 teaspoon of raw honey in a bowl. 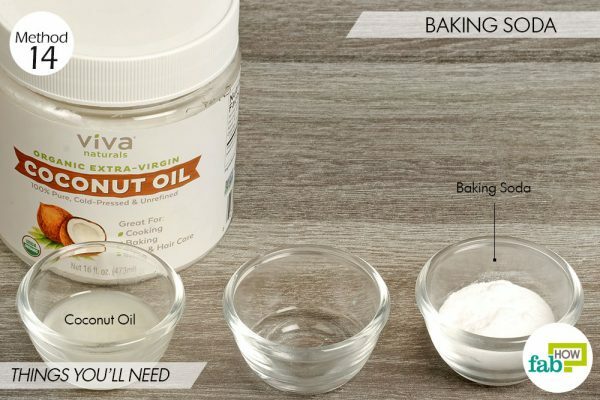 Add ½ teaspoon of almond oil. 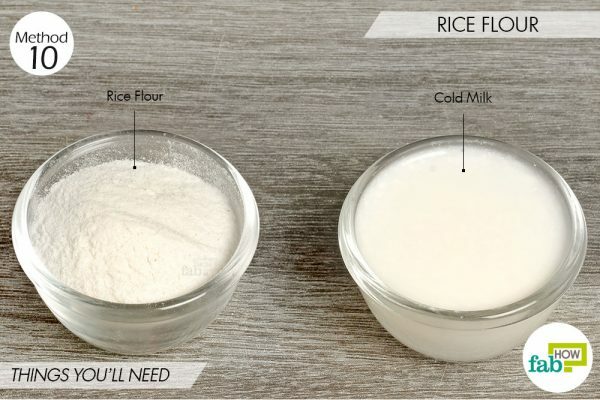 Add 1 tablespoon of powdered milk as well. Use a cosmetic spatula to blend all the ingredients together. Apply on the skin with a brush. Keep it on for 10 to 15 minutes and then rinse off with cold water. Use this pack 3 to 4 times a week for well-moisturized and fairer skin. 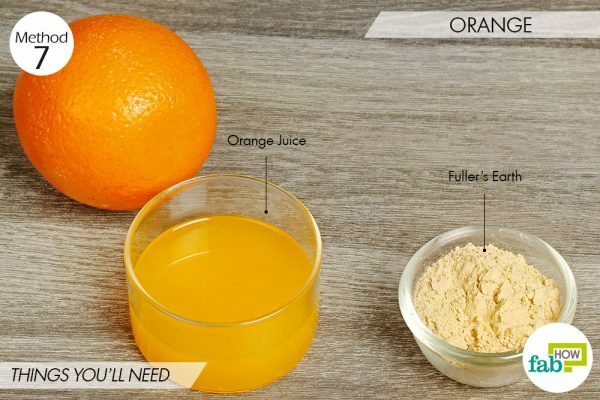 Orange juice is rich in vitamin C, which promotes cell repair and growth, and at the same time, it also has natural bleaching properties that help get rid of tanned or darkened skin. Add Fuller’s earth to orange juice and mix. Pour 4 tablespoons of fresh orange juice in a small bowl. 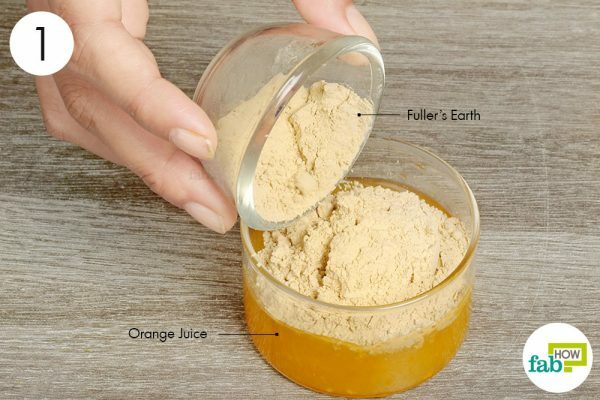 Add 2 tablespoons of Fuller’s earth and blend together to form a smooth paste. 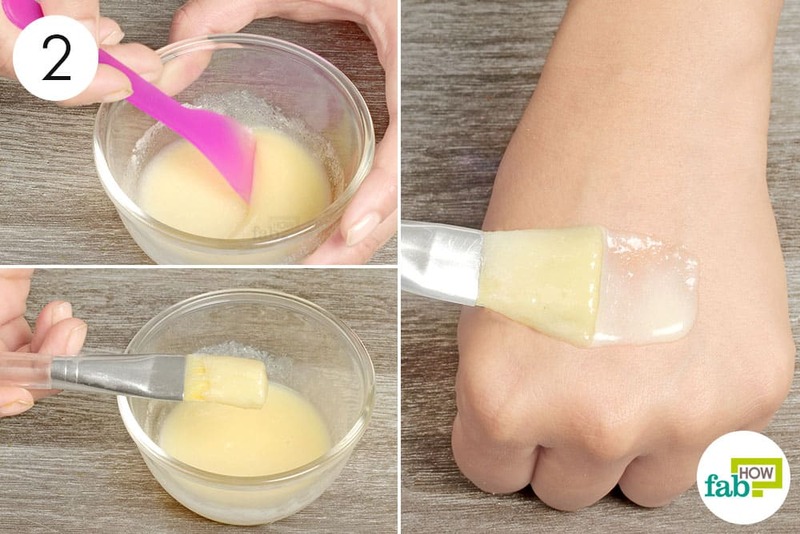 Scoop up some of the paste with your finger and apply on skin. Let it dry for 15 minutes and then wash off with cold water. Do this 2 to 3 times a week to remove dark, tanned skin, and lighten your skin complexion. This bright red fruit is found in every household kitchen. 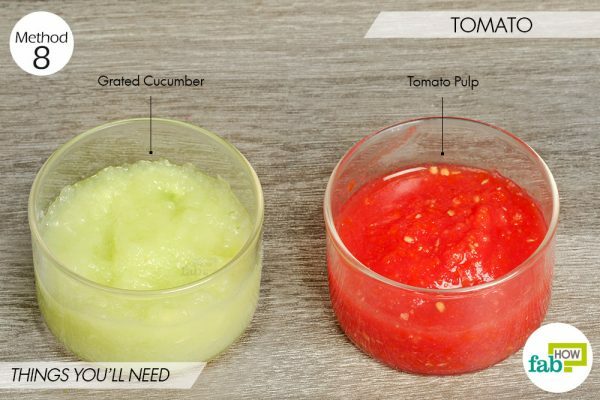 Tomato juice or puree acts as a natural bleaching agent and is a particularly effective remedy to get rid of suntan. Mix it with grated cucumber, as its cooling properties help soothe and brighten the skin. Take 1 small mashed tomato in a mixing bowl. Add ½ bowl of grated cucumber. Blend and mix the ingredients thoroughly. Scoop up with your fingers and apply on skin. Leave it on for 20 minutes and then wash your face with water. 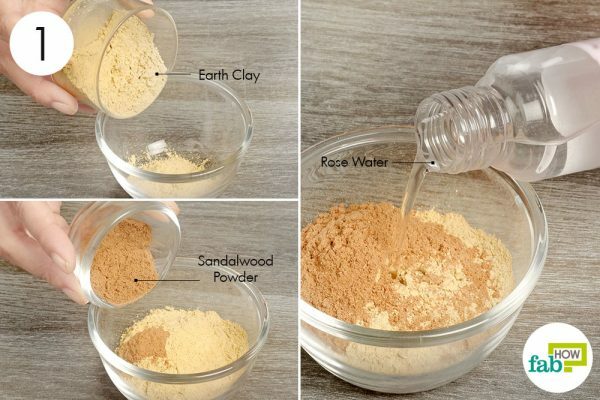 Apply this natural mix once every 3 days for lighter and clearer skin. Oatmeal powder is wonderful for fading age spots, getting rid of suntan, pigmentation, and dead skin cells for soft and shining skin. You can also use oatmeal to make a fine scrub for your hands, to keep them soft and glowing. Take 1 teaspoon of fine oatmeal powder in a mixing bowl. 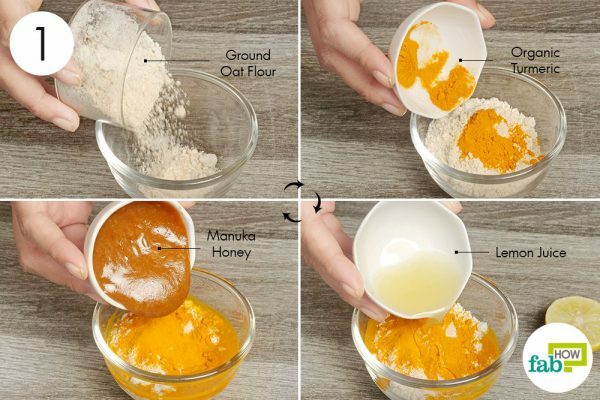 Add 1 teaspoon of orange peel powder. 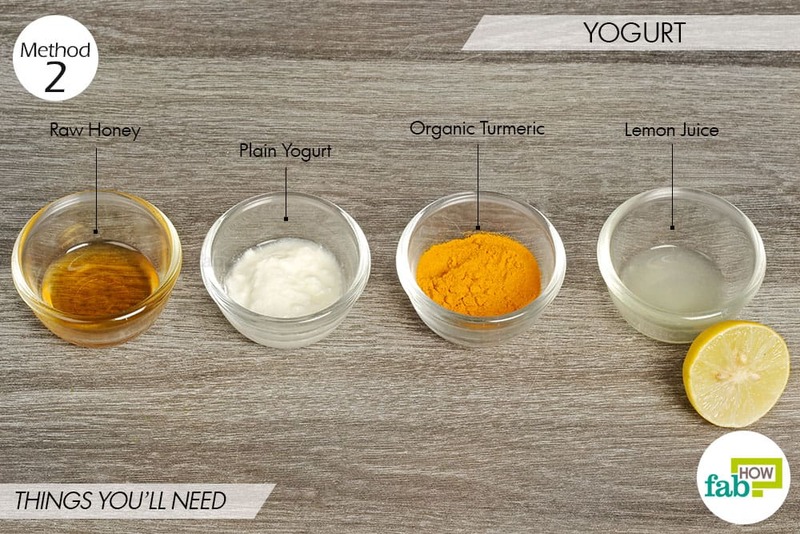 Add 2 tablespoons of plain yogurt as well. 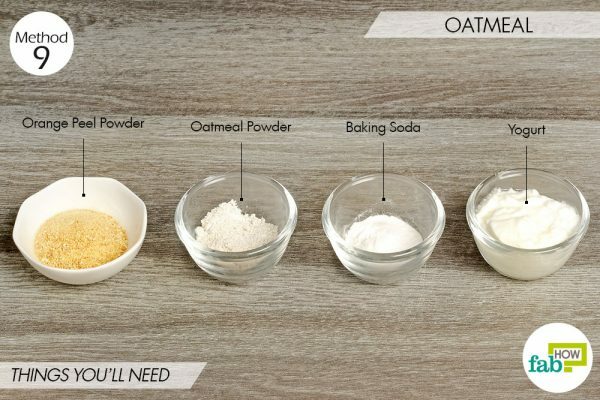 Mix all the ingredients together using a spoon spatula to form a thick oatmeal mask. Use fingers to apply a thin coating on darkened skin. Massage it over your skin in a circular motion for 5 to 10 minutes. Wash off with cold water and gently dry your skin with a dry towel. 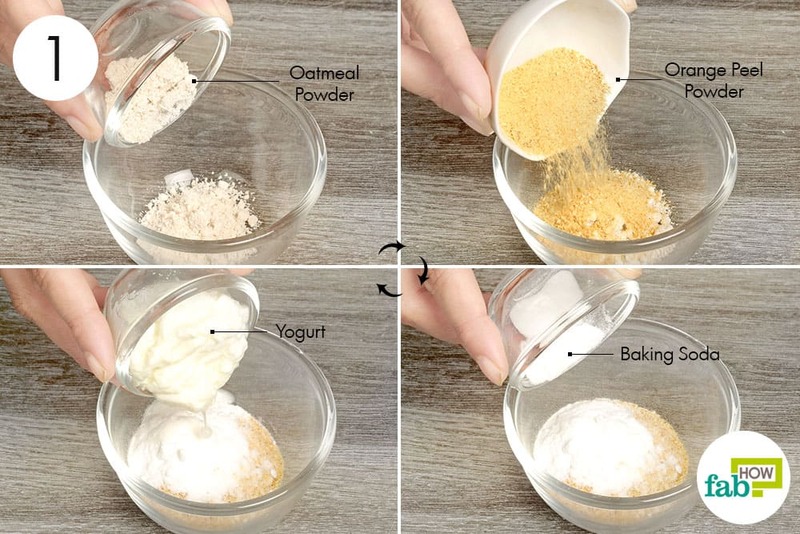 Use this oatmeal mask to gently scrub off dead skin cells and impurities to reveal the lighter skin underneath. You can apply this mask 2 to 3 times a week for healthier, brighter skin. You will see your skin color enhanced by a shade after 3 to 6 weeks of continuous application. The regular application of rice flour on your skin can help protect the skin from harmful effects of the sun. Rice flour helps remove sunburn and enhances cell growth for skin repair. 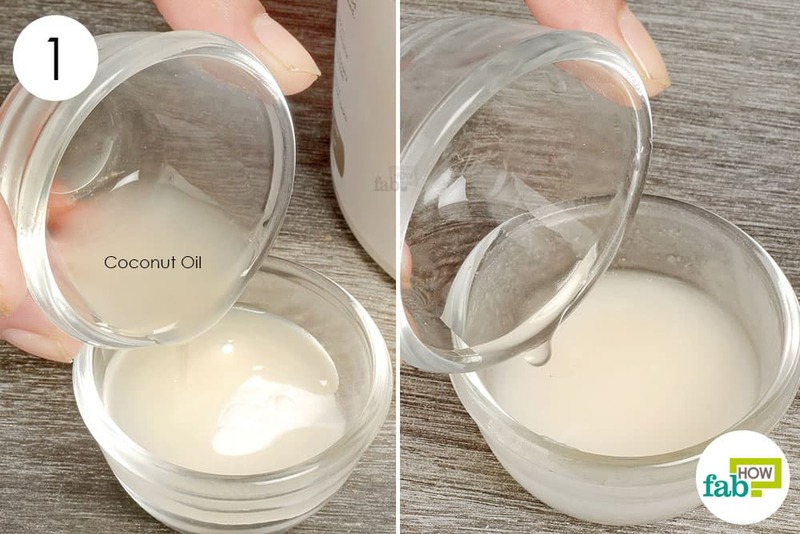 It has traditionally been used across Asia in beauty and makeup regimes of women for many generations. 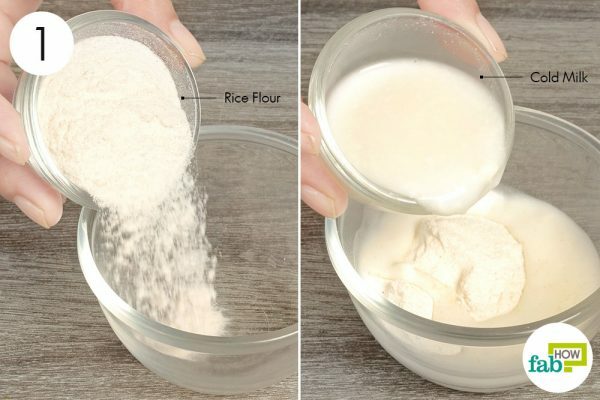 Pour 2 tablespoons of rice flour in a small bowl. Add 2 tablespoons of cold milk. 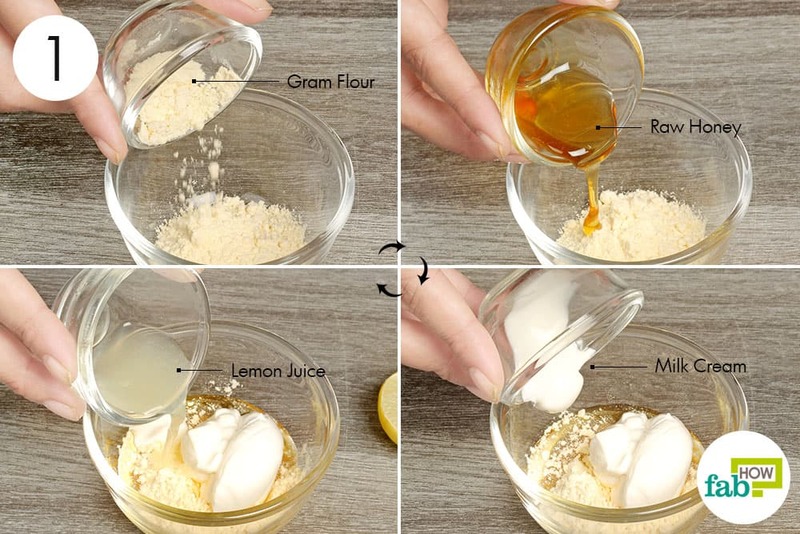 Mix the two together to form a smooth white paste. Use a brush to apply this paste on your skin. 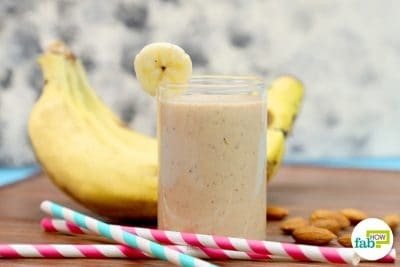 You can also use water or plain yogurt instead of cold milk. 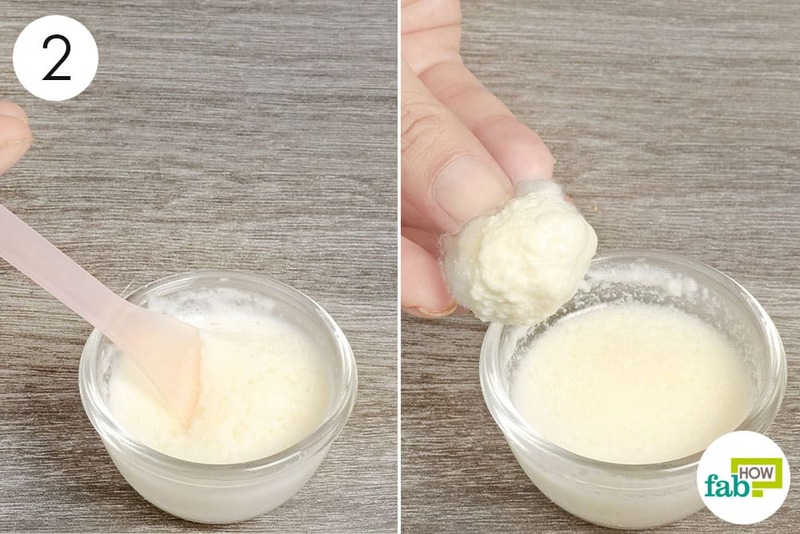 Apply this rice-milk skin mask 2 to 3 times a week for whiter skin. Milk contains lactic acid that acts as a natural bleaching agent. Legends have it that Cleopatra bathed in milk to maintain her youth and beauty. 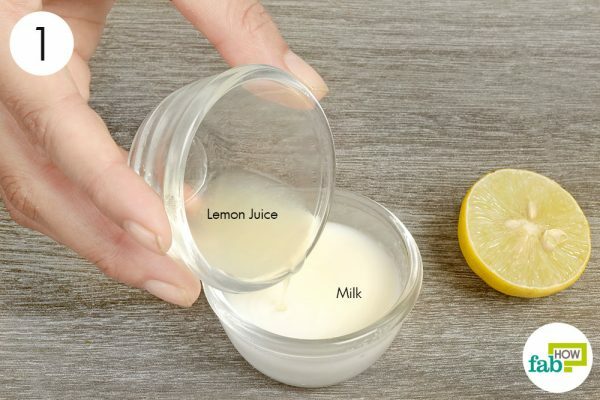 Adding lemon juice to milk enhances its skin bleaching properties, leaving behind incredibly lighter and softer skin. Pour 2 tablespoons of milk in a small bowl. Mix the two ingredients together to form a smooth paste. 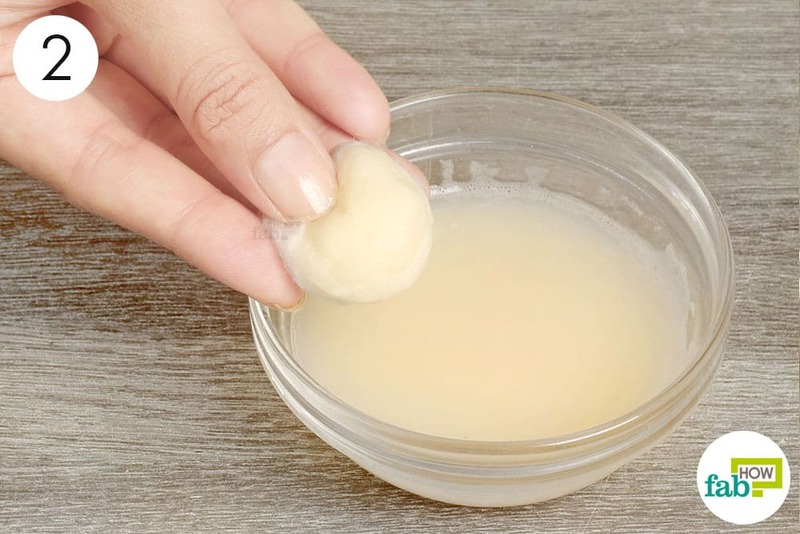 Dip a cotton ball into the mix and apply on skin. Leave it on till it stiffens i.e., 10 to 15 minutes. You can apply this super skin whitening blend every 2 to 3 days and see positive changes in your skin after a month of continuous application. Potatoes are not just useful for making French fries. 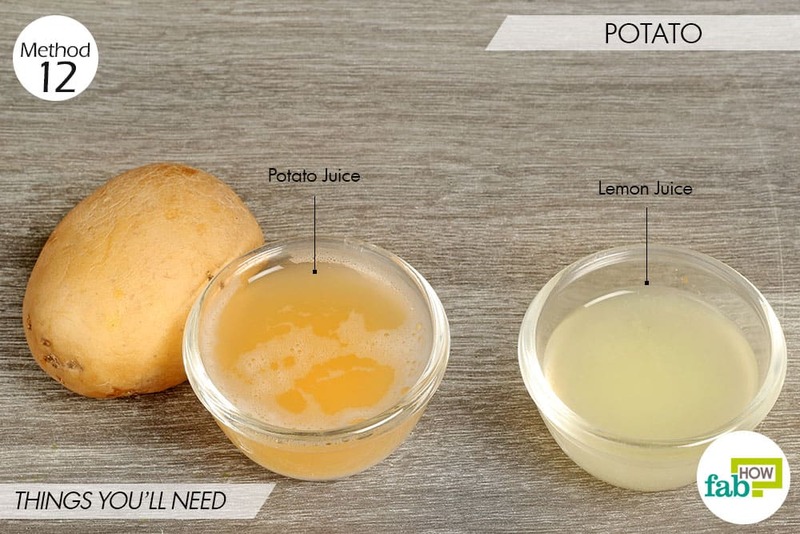 Applying raw potato juice on your skin helps lighten blemishes, dark spots, and get rid of hyperpigmentation. The combined bleaching properties of potato and lemon create a powerful natural mix to lighten skin. Pour 2 tablespoons of potato juice in a mixing bowl. Dip a cotton ball into this juice blend and apply it on the skin. Apply this every alternate day at night (to avoid going out into sunlight immediately afterwards) and see visibly fairer skin after 4 to 5 weeks of use. 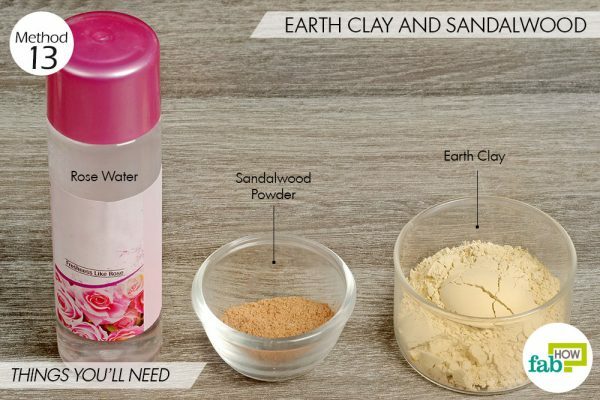 Earth clay and sandalwood act as natural cleaners; they also absorb excess oil and keep your acne under check. With regular application, earth clay, sandalwood, and rose water contribute toward lightening scars and improving the overall quality of your skin. Pour 3 tablespoons of earth clay in a mixing bowl. 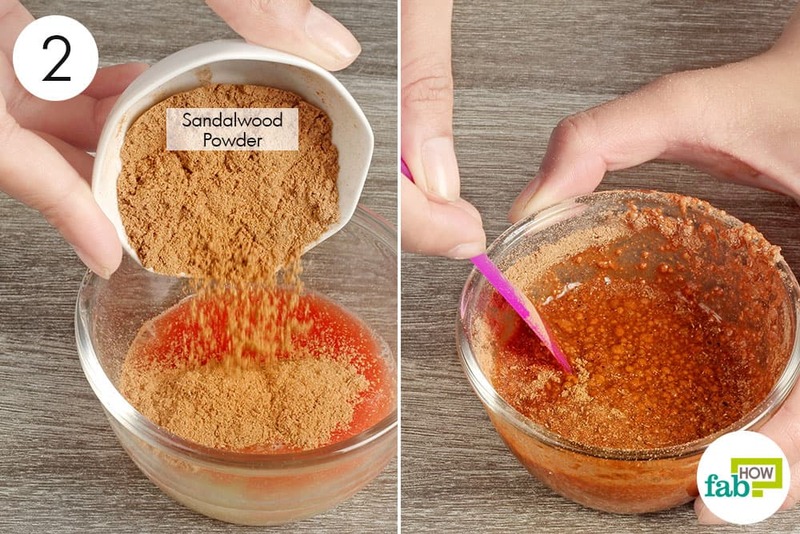 Add 1 tablespoon of sandalwood powder. Add rosewater as required to form a smooth paste. Mix the ingredients together to form a smooth, creamy paste. Apply on skin and let it dry. Wash it off after 20 to 30 minutes with cool water and gently pat dry your skin. Apply this skin mask 2 to 3 times a week; you will see a visible lightening of skin after 4 to 6 weeks of regular application. 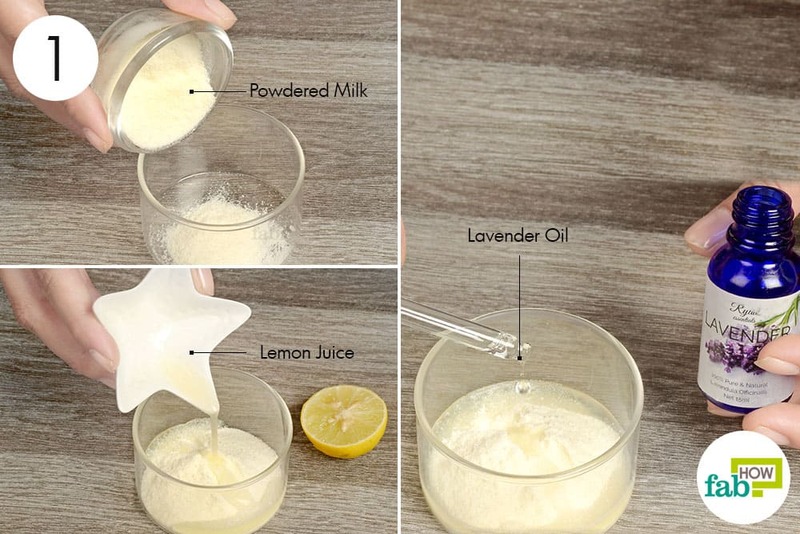 Baking soda exfoliates and removes dead skin cells, and this property makes it a highly effective remedy for getting softer and whiter skin within an even skin tone. Additionally, it also has skin cleansing properties that help in absorbing oil consequently, preventing outbreaks of acne. 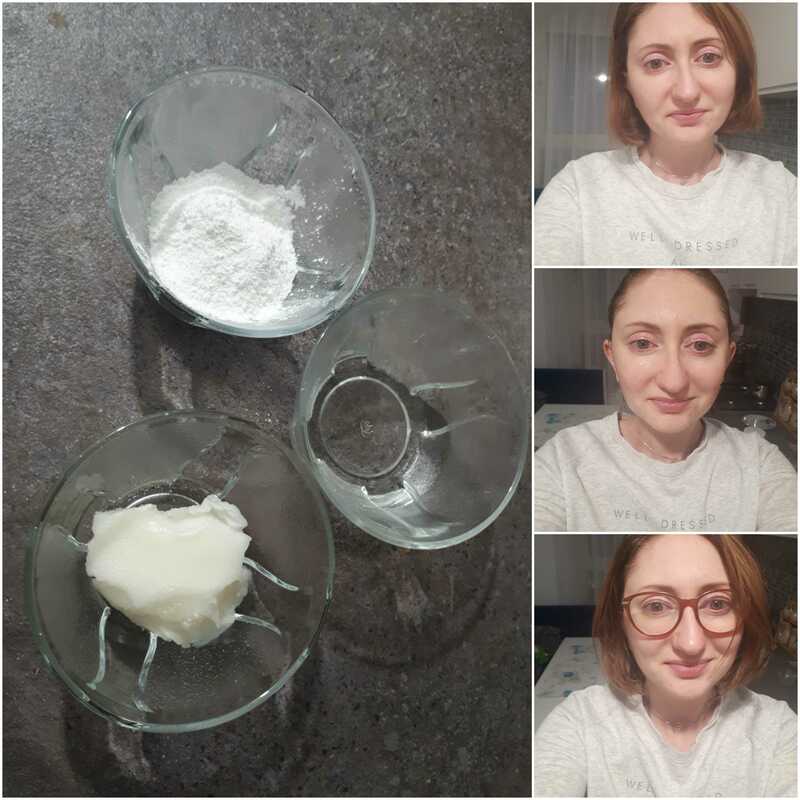 Pour 2 teaspoons of baking soda in a small bowl. Add some warm water as required. Stir all the ingredients together to form a smooth, runny paste. 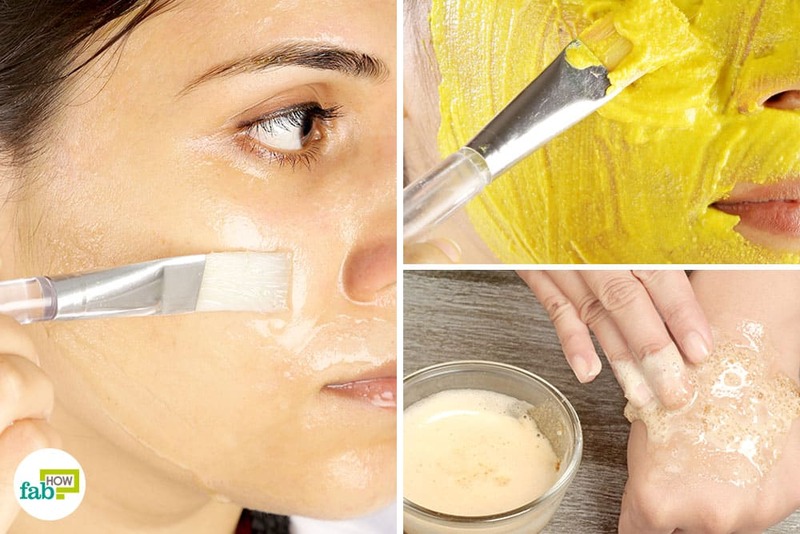 Scoop up and apply on the skin; leave it on for 10 to 15 minutes. Rinse with cool water and pat dry with a towel. 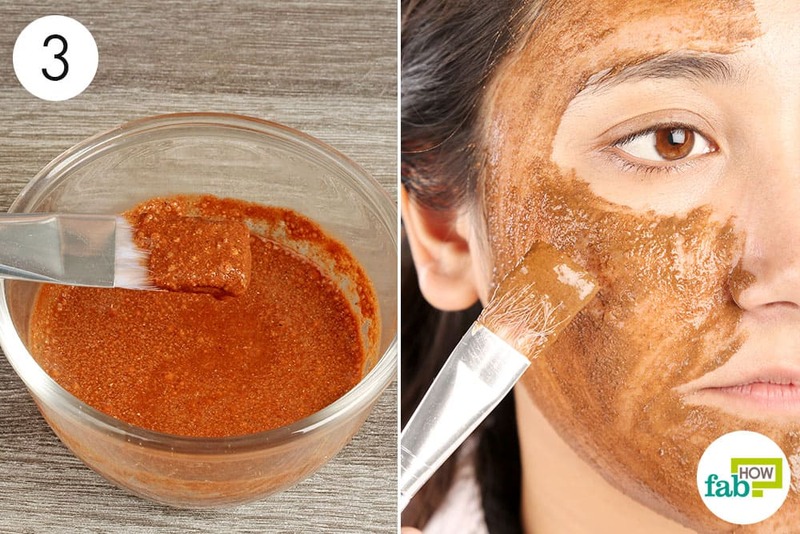 Apply this skin mask twice a week for skin whitening. You will see visible results in 2 to 4 weeks. Papaya contains high doses of a natural enzyme called papain, which removes dead skin cells and can also be used to treat acne. 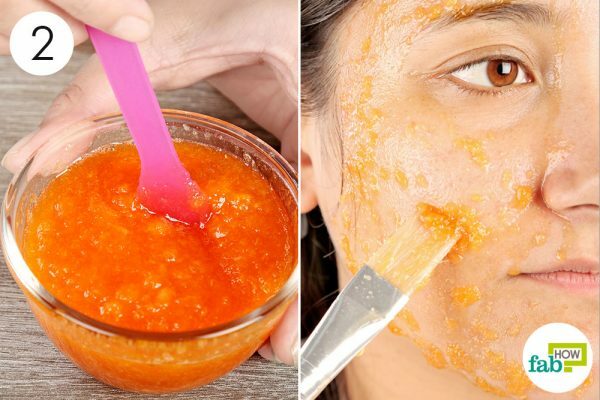 Papaya pulp or puree can also be applied on the skin to treat dark spots, and with continuous use, it can give you much clearer and brighter skin. 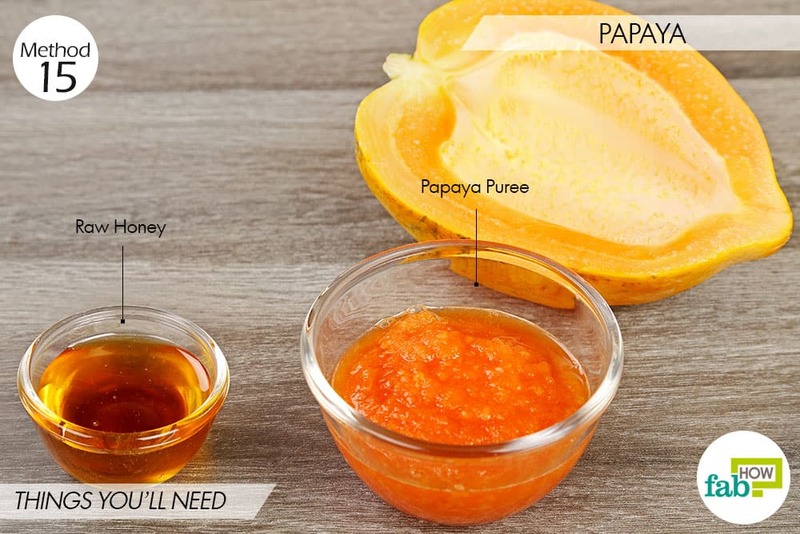 Take ¼ cup of papaya puree in a bowl. Mix the papaya puree and honey. Apply it on your face and leave it for 25 minutes. Wash it off with cold water and gently pat dry with a soft towel. You can apply this papaya pack on your skin between 2 to 3 times a week; you will have visibly whiter skin after a month of consistent application. Cover up while going out in the afternoon. 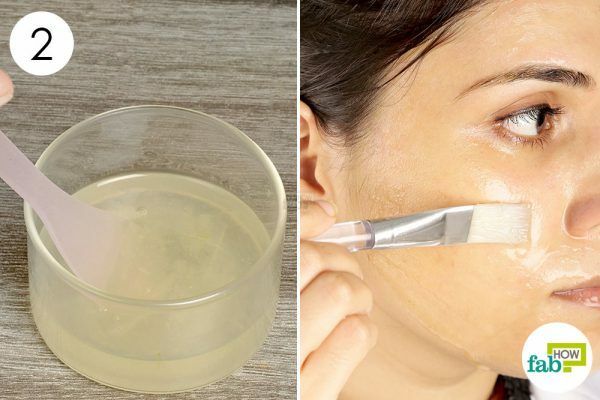 Always do a patch test before applying any ingredients on your skin. My face got severely tanned recently. I was looking for homemade detanning solutions while I came across the aloe vera+lemon juice mask and decided to give it a try. The mask made my skin feel soft and smooth. I couldn’t help touching my face after the application! Also, I was able to feel a slight improvement in my skin tone. I am planning to continue using the mask to see if it could remove my tan completely. Hi, I tried Baking soda mask and my skin feels great now. I am absolutly sure that I will re use this mask.